Herman (Gustave) Adix was born in Prussia circa 1828. He settled in Chicago, where by 1866, he and his family lived at 144 Illinois St. (between LaSalle St, and Clark St. Few details about Herman are known. For further details, contact the Chicago Genealogical Society. 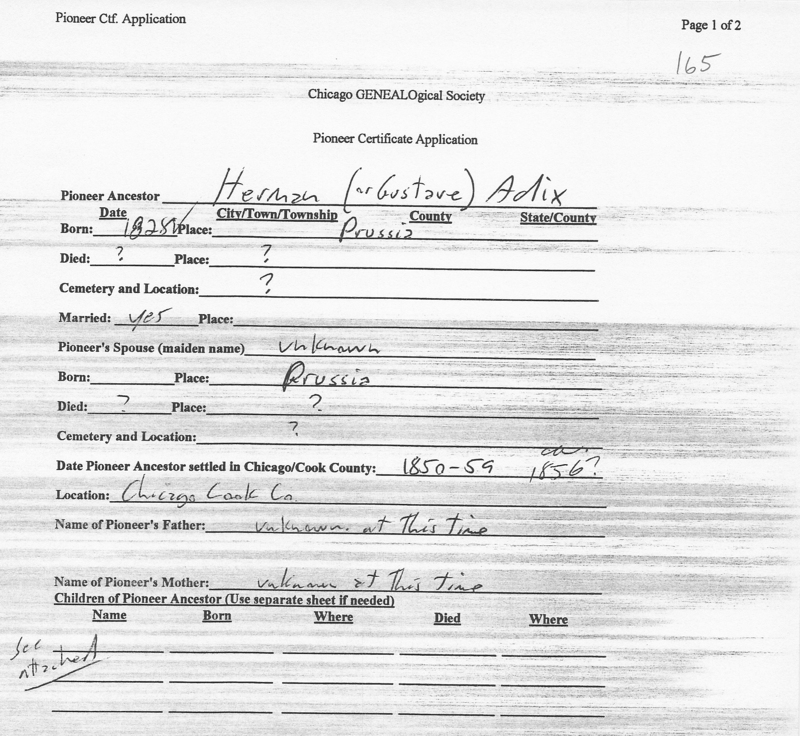 Herman (Gustave) Adix is Pioneer Ancestor number 165.